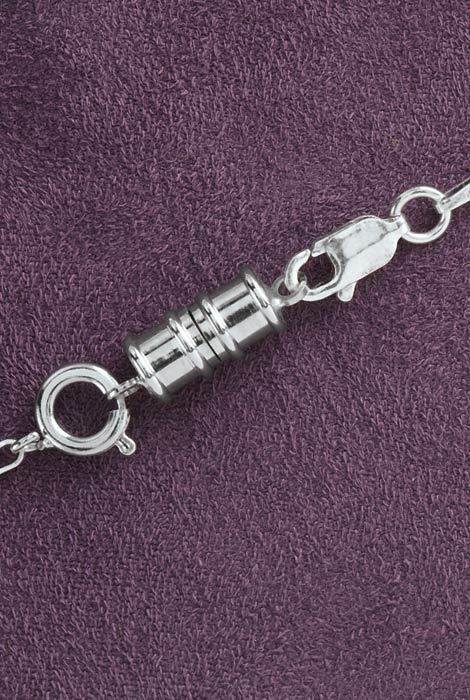 Convert tricky, tiny clasps into easy-locking magnets! 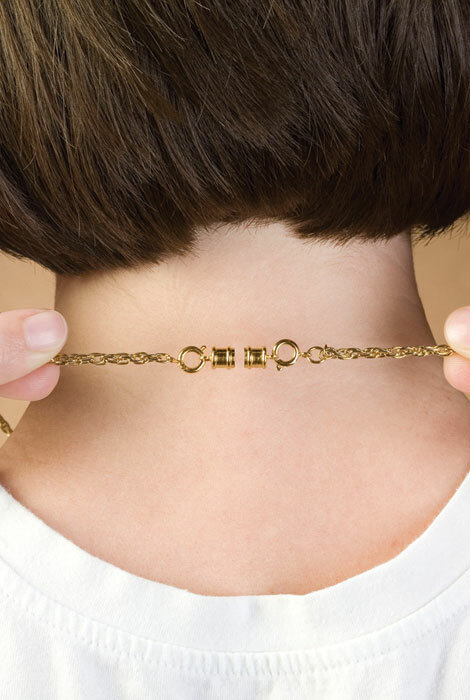 Don't stop wearing favorite jewelry simply because you can't manage the clasps. Set of 4 spring rings and 2 clasp sets clips onto jewelry…stays put. Imported. Goldplated or silverplated. USING THE PRODUCT IS NOT A PROBLEM IF YOU DON'T TRY TOO HARD TO SEPARATE THE MAGNETS. I DID AND OFF CAME ONE OF THE LOOPS WHICH RENDERED THAT MAGNET USELESS. I'M SAVING THE REMAINING ONE IN CASE I DO IT AGAIN. WHEN THEY WORK, THEY DO WELL SO FAR. JUST BE CAREFUL IN SEPARATING THEM !! 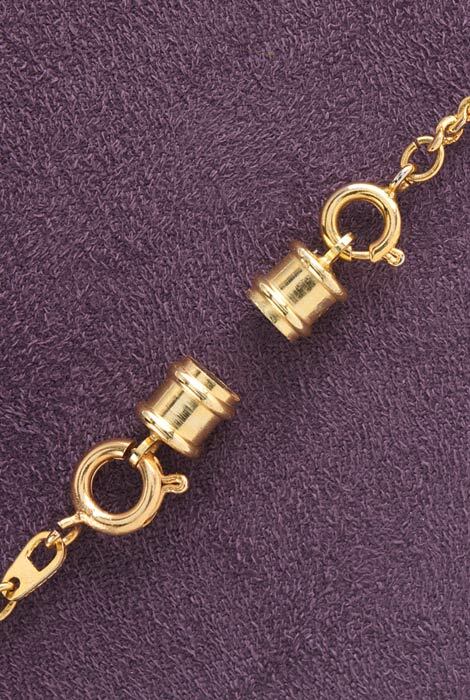 I have trouble clasping my favorite gold bracelets that I want to wear. seems like an easy clasp product to use. It meets my requirements & the price is right. I need some magnetic clasps and I'm trying couple different kinds to see what I like best. will need more after I find out which ones I like. These are so handy. Much easier than the regular clasp. I have a hard time to clasp my necklaces. Have trouble hooking small chains. BEST ANSWER: Thank you for your question. The clasp is ¾” long and the diameter of the magnet is ¼”. We hope this information will be of help to you.